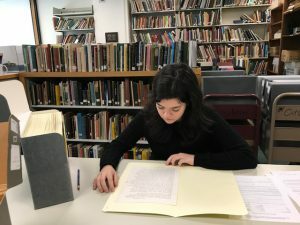 Note: This is one of an occasional profile of the expanding Jewish-Feminist collections at The Archives & Special Collections at the Brandeis Goldfarb Library. We previously wrote about the Lilith collection. Before I gain access to the carefully stored correspondence of Esther M. Broner, I’m given a few instructions: no pen, keep the documents flat on the table at all times, file everything back exactly in the order you found it. In this quiet room, filled with books and cardboard boxes, it feels a little like I’m about to undertake some kind of secret mission. The first letter I examine is dated from the early 60s; it feels brittle and thin. Even if I hadn’t been briefed on proper handling procedure, there’s something about old paper that tells you to treat it with care. As I place the designated cardboard marker in the box to hold the document’s place, two women across the room are having an intense whispered conversation. Their low voices mean it is something I am not supposed to hear; a private conversation. At the back of my brain – and I don’t think I’m alone in this – is a curiosity. We all want to be privy to things not meant for us. Maybe that’s why I was excited to come here. Reading correspondence is, after all, the literary equivalent of eavesdropping. There’s a sense that you’re being a little sneaky – a little bit of a busybody. And, if I’m honest with myself, that’s where most of the fun of the whole endeavor comes from. You are reading something not meant for your eyes, something intended to be kept to the confines of friends and family. All of a sudden, the famous figures I remember reading about who instructed their diaries and letters to be burnt upon their deaths suddenly seemed like very forward-thinking individuals. First, a little backstory. Esther M. Broner was a Jewish American author, whose works focused on fusing her feminism with her faith. She wrote ten books, among them renowned works like A Weave of Women and The Women’s Haggadah, which largely revolved around themes of creating new, women-centric Jewish rituals – forging a feminist identity within the confines of religion and tradition. In 1976, she held the first all-female Passover seder on the floor of her NYC apartment, surrounded by a horde of plants, with women such as Letty Cottin Pogrebin and Gloria Steinem (the founders of Ms. Magazine) in attendance. In her correspondence, some of what I found was expected: evidence of a woman with an intense focus on Judaism and feminism (or, in her own words in a letter to a friend, “my Jewish thing”). But I also found something else – something that makes correspondence uniquely valuable to researchers: a human being. There is joy when babies are born, and sadness when relatives die. She commiserates with friends over the incompetency of various politicians. During a visit to London, there’s musings on her love for the picturesque gardens, though some cultural frustrations that still ring true today (“The British are quite relaxed, and to the impatient American it can be somewhat exasperating – it’s always “Would you have another cup of tea,” when you’re trying to get a steady stream of work done.”). A letter from a friend, Susan, who tells Broner to never forget to be cheeky, because “sass is so fine”. A note from a writing mentor, Professor Edward Albee, to “Work hard – you are so good.” Albee also talks about the process of writing his latest play; he hasn’t settled on a title yet, but he likes the sound of Who’s Afraid of Virginia Woolf? Working your way through years of a person’s life in the space of a few hours can be a strange experience. In the course of a few pages, her daughter, Nahama, has transformed from a little girl in the 1960s trying on trenchcoats and deciding to get her hair cut into “the most adorable bangs” to a 1970s teenager who “laughed nastily” at her father’s recounting of Esther and his honeymoon, prompting Esther to write a long passage on how difficult teenagers are. (In the spirit of research, later I googled “Nahama Broner”, hoping to find some old family photographs so I could put faces to story. Instead, I found her RateMyProfessor page, with a stream of NYU undergraduates reviewing her skills in teaching psychology. She seems to be a very good professor, though now bereft of bangs). Violet Fearon, a freshman and Humanities Fellow, is the HBI student blogger. To learn more about the Jewish-Feminist collections or to make an appointment, contact Chloe Morse-Harding, Reference and Instruction Archivist, cmorseharding@brandeis.edu / 781-736-4657. On Nov. 6, Marcia Falk will discuss and read from the new anniversary edition of The Book of Blessings as well as The Days Between. On Nov. 7, HBI Director Lisa Fishbayn Joffe will interview Falk in a live webinar, Conversations with Extraordinary Women. See below for details and webinar registration. “Let us bless the source of life that brings forth bread from the earth,” or “Our praise to You, Eternal our God, Sovereign of the universe, Who brings forth bread from the earth”? The first, a translated version of “hamotzi,” the Jewish blessing before the meal, comes from Marcia Falk’s Book of Blessings. The second is the traditional translation of the same prayer, in this case provided by ReformJudaism.org. It’s a simple, yet elegant example of Falk’s style of removing the patriarchal language from the liturgy. The story of Falk’s engagement with writing prayer began several decades before she published her groundbreaking books including the The Book of Blessings: New Jewish Prayers for Daily Life, the Sabbath, and the New Moon Festival, now reissued in a 20th anniversary edition. “The words of prayer have always mattered to me,” said Falk. 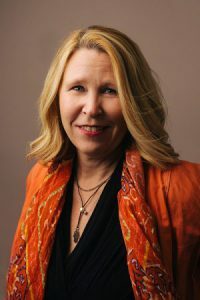 “As a Jewish feminist in the 1970s and ‘80s, I thought it was important not just where and how we participate in synagogue life, but what we actually pray there. I had been a regular davener for years; I belonged to synagogues and attended services every Shabbat. I participated, gave drashot (talks about the Torah portion). But in the early 1980s, the liturgy was becoming more and more disturbing to me as a Jew and a feminist trying to live with integrity. Falk started to silently change the language, sometimes while on her feet during the Amidah (the prayer recited silently, while standing). She was often the last one to sit back down, because she lost track of time as she struggled to adapt the Hebrew words, changing the patriarchal image of God as the Lord and King to other, gender-neutral metaphors. She was not yet writing her new prayers down or sharing them publicly. A turning point came in 1983, while she was a teacher at the Havurah Institute in Princeton. Rabbi Arthur Waskow was in charge of the Havdalah service to take place on Saturday night, and on Friday afternoon he asked Falk to provide a kavanah, meditation, for each of the blessings. In March of 1985, Falk published an essay in Moment Magazine, in which she presented some of her new blessings, which would eventually become part of her path-breaking Book of Blessings, published in 1996. The article engendered strong and voluminous reactions across the spectrum; Falk received fan mail as well as attack mail. While there were many Jews, especially Jewish women, who had been waiting for an alternative to the patriarchal imagery of the prayer book and who were thrilled that Falk had met the challenge, there were also people who insisted that she did not have the right to make changes, especially to the Hebrew. But, Falk says, Jewish liturgy has always changed over time. “If it doesn’t evolve, it ossifies.” And Falk believes it is not enough to change the English. Her work is unique in that it offers new prayers in Hebrew poetic language. “Many Jews want a liturgy that expresses their values and concerns. Keeping it alive in a fresh way has always been part of Jewish tradition,” she says. It has been 20 years since the publication of The Book of Blessings, and Falk’s readers have waited long for its sequel. Now, it’s here with new essays by scholars Rabbi Sue Levi Elwell, Rabbi Naamah Kelman, Rabbi Dalia Marx, and Rabbi David Ellenson that reflect on the impact over the past 20 years. Join us Nov. 7, noon, online for a webinar, Conversations with Extraordinary Women. Lisa Fishbayn Joffe, S.J.D, Director of the Hadassah-Brandeis Institute interviews Marcia Falk. 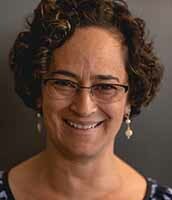 HBI recently caught up with 2010 Scholar-in-Residence Nina B. Lichtenstein, who earlier this year published Sephardic Women’s Voices: Out of North Africa, a project she started at HBI. HBI: How did you become interested in the topic of Jewish writers from North Africa? NBL: When I was in graduate school working toward a master’s and then a doctorate in French, a large part of our reading was literature by writers from the former French colonies, such as the Caribbean, West Africa, and North Africa. I had a Bachelor’s in Jewish Studies and French, and anything from the intersection of these two disciplines interested me. Knowing that North Africa, especially Morocco, Algeria and Tunisia, had been the home to a large Jewish population—nearly 500,000 at its peak and now mostly gone—I was intrigued to find voices that captured this rupture. But there were no Jewish voices on our reading lists, except one or two male writers such as Albert Memmi, and so, my project revealed itself, asking to be developed. HBI: Why women writers, specifically? NBL: Women writers bring a different sensibility to their writing than men, and often one that observes and responds to a gendered experience of, say, trauma, as it is lived by a family or a community. We know that, historically, these experiences have been underrepresented if not invisible. I was eager to find them and put them in the forefront of a study about a unique moment in Jewish history. HBI: There has been a burgeoning of Sephardic Studies in recent years, for example as seen by the growing numbers of sessions on the theme at the AJS and MLA. How has this affected your work and research? NBL: In the early days of my research, in the late nineties, it was a lonely job. I was the only one at my University pursuing anything Sephardic, although the University of Connecticut had a Jewish Studies program, (I was one of their first majors) it focused on Ashkenazi history and culture. I recall speaking with a Moroccan sociologist and scholar in France who had doubts my project was going to fly, but he was the beginning of a network of engaging Sephardic writers and scholars that I slowly developed, and which eventually sprouted in the U.S. as well. This is not to say there were not important senior scholars here who had already paved the way—such as Norman Stillman, Jane Gerber and Aaron Rodrigue—but as far as a network for junior scholars who were entering the field, it took time. Now, the AJS has a separate caucus for Sephardic and Mizrahi studies as well as a large number of panels and sections dedicated to this rich and heterogeneous sub-genre within Jewish Studies. It has been fun to be part of and observe this growth. HBI: Your book, Sephardic Women’s Voices: Out of North Africa (Gaon Books 2017), is divided into two parts: the first is rich in historical and theoretical references, and the second is a literary and thematic study of specific texts by the women writers. What reader(s) did you have in mind when you wrote this book? NBL: The book went through several phases. When it started out as my dissertation, it was my thesis-advisors and the academic community I imagined as readers. I knew revisions were necessary in order to publish it as a book and coming to the HBI as a scholar in residence in 2010 marked the beginning of that renewed energy and work. It took time and thought to reimagine the reader I envisioned. When the small, independent press, Gaon Books, finally published the book in January 2017, I was excited to have shaped it into a more accessible text. Since then, readers who are not academics or scholars, but lay-people interested in Jewish history and culture, have told me they enjoyed its “readability,” which I take as a great compliment. My litmus test was when a dear friend, Dr. Calvin Mass, who at 95 years old read the manuscript and called me up from his nursing home the week after I had dropped it off and asked me over for lunch “so we could discuss the work.” He grew up as an Ashkenazi Jew in Hartford, CT in the 1930s, and had very little exposure to anything diverse within Jewish culture. But he was educated and curious. HBI: What are some challenges, if any, you have faced with this project? NBL: During the long research-phase, I had three young children and a husband who worked all the time, so travelling to France or North Africa was not possible. That felt compromising to me, but I found other ways to develop the content of the project. Aside from the seemingly endless revisions and the often-painstaking rounds of editing, the biggest challenge for me is always to “just sit down and do the work.” That means writing for some time, every day—except on Shabbat—uninterrupted by all the usual attention grabbers readily at our fingertips. HBI: Tell us about how your relationship to the HBI began? NBL: In the spring of 2010,I came to HBI as a SIR, and I vividly recall walking through the doors of the Women’s Studies Research Center feeling like I had come home. The warm and welcoming environment created by the supportive staff and all the folks who work and are affiliated with the Center was a game-changer for me. It was the first time in my academic life I didn’t get a blank stare when asked about my work. Jews and gender and fresh ideas, well, it was a match made in heaven. While there as SIR, I applied for and won the HBI translation award that led to the translation from French of Chochana Boukhobza’s novel, For the Love of the Father. When my time as SIR ended I was welcomed to stay on as a Research Associate—a relationship that continues today. I have also been a member of the Academic Advisory Committee since 2011 and enjoy being a part of evaluating some of the annual research award applications as they relate to my field. HBI: In what way is the translation project unique? NBL: Throughout my scholarship, one of my primary goals has been to share stories of Sephardic/Mizrahi communities from Islamic lands, and especially its women. Among them, the Francophone writers —and there are many—are not generally known within the Anglophone world, as many if not most of their works are yet to be translated. Chochana Boukhobza—who is born in Tunisia—and whose work figures in my book, is a prolific Sephardic woman writer in France who has written with great rawness about the uprooting of North Africa’s Jews. This moment in history and its repercussions on a familial level is portrayed with sensitivity in the translated novel. I love that the novel is made available for free from the Brandeis Institutional Repository. HBI: What’s next for you in terms of projects? NBL: I have a couple of projects on the docket; both relating to Jews and gender in their own ways. The first is a novel inspired by a true story about a Norwegian non-Jewish woman who falls in love and has a child with a Norwegian Jew in 1933. She only reveals this part of her secret past to her family when she is on her deathbed, 55 years later. Shifting between time periods the story explores how one woman’s secret affects not only her life but that of future generations. The second project is a collection of first person essays by women converts to Judaism, tentatively titled, That’s Funny, You Don’t Look Jewish. I run a blog and a Facebook group by the same name, and I seek well-written stories that celebrate the diversity of converts to Judaism. Between these two projects I have my work cut out for me, and feel invigorated by the beginning of the fall season and cooler weather. 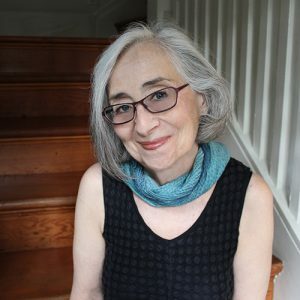 Nina B. Lichtenstein is a writer, teacher and storyteller. She holds a Ph.D in French and is a 2010 HBI Scholar in Residence, winner of an HBI Translation prize, member of the HBI Academic Advisory Committee and an HBI Research Associate. Nina is a recent empty nester, and now lives in Brunswick, Maine. She recently published Sephardic Women’s Voices: Out of North Africa.